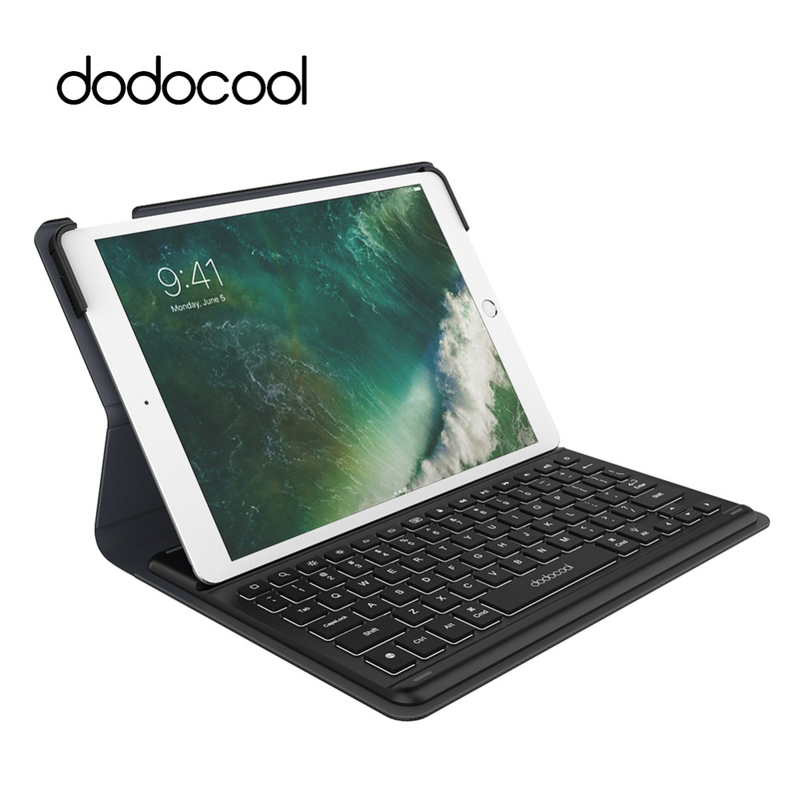 dodocool Smart Keyboard for 10.5-inch iPad Pro provides a full-size keyboard to get your thoughts down and a durable cover for everyday protection. 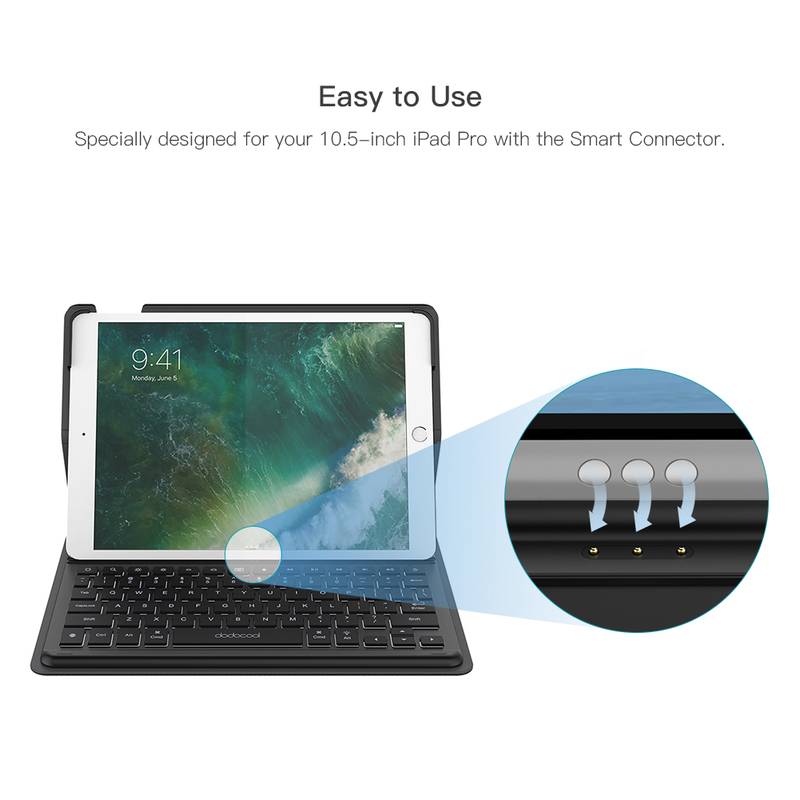 Connect to your 10.5-inch iPad Pro with the Smart Connector, and let you use your iPad like a laptop. It also features innovative technologies that free you from switches, plugs, and pairing. 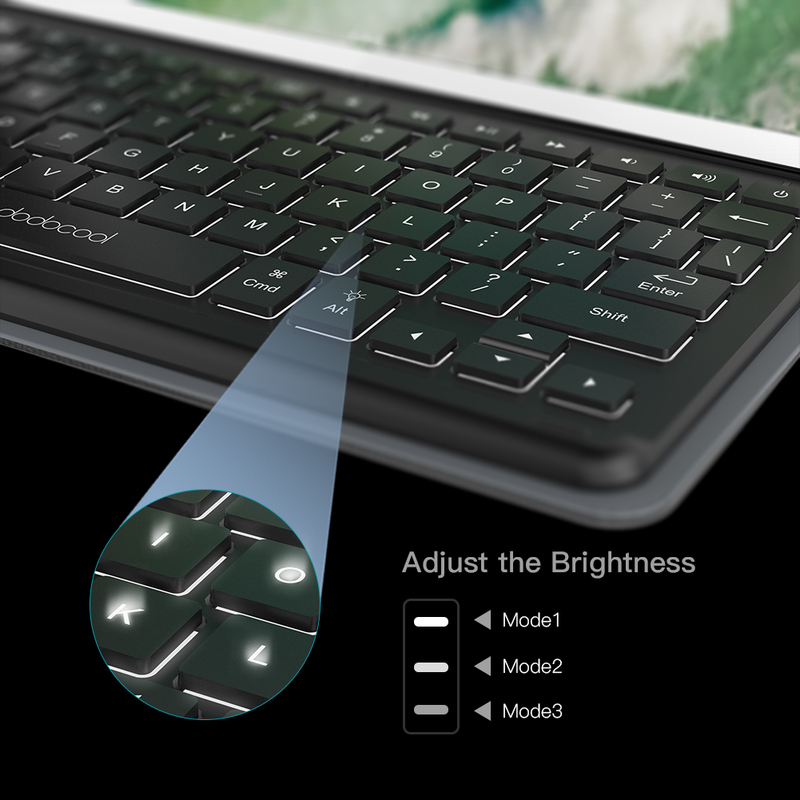 Allow you to type faster and more accurately. Sturdy enough for everyday use. Specially designed for the 10.5-inch iPad Pro with the Smart Connector. Support iOS 9.0 or later. 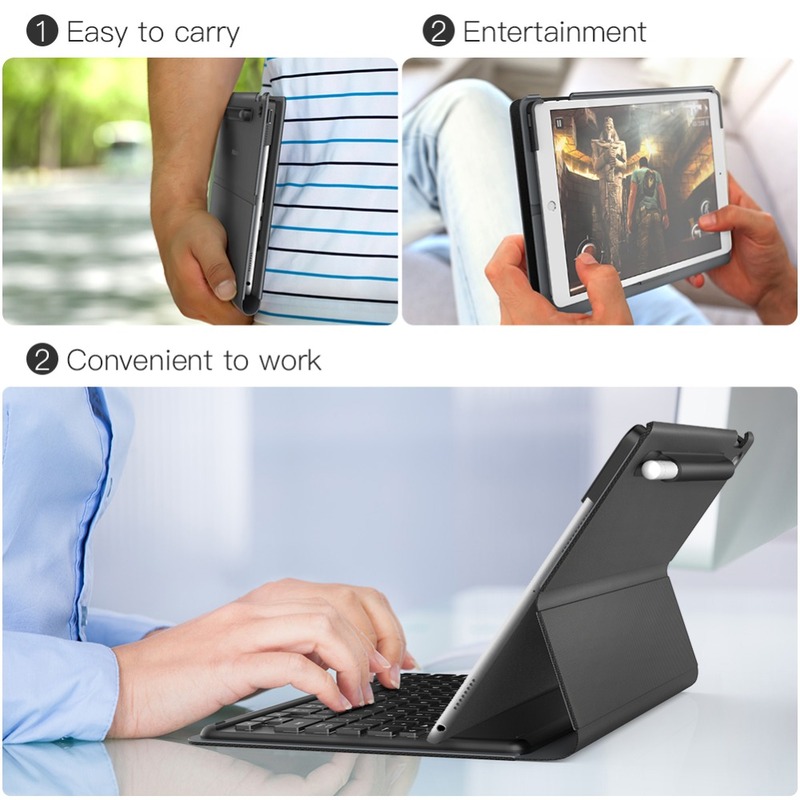 Foldable design allows your iPad Pro to be tilted up to 50 degrees to provide the most comfortable viewing typing angle. 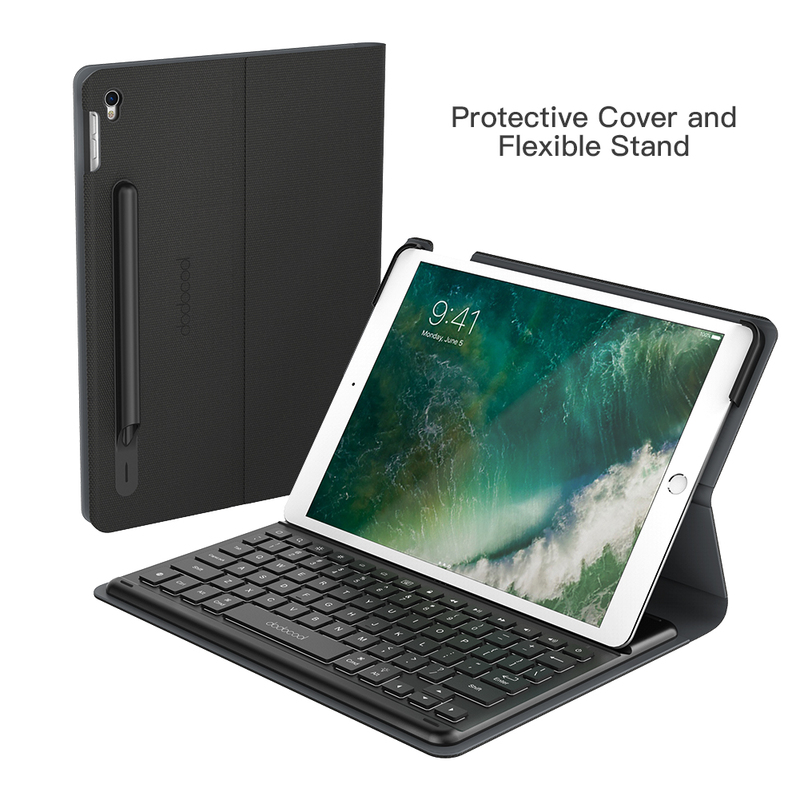 It folds to create a slim, lightweight cover, and provides all-around protection for your iPad Pro and keep it from bumps, scratches, dents, and spills. A dedicated row of shortcut keys provides easy access to all the tasks on your iPad Pro. You will be able to search the websites, adjust the brightness, switch apps, and control the volume levels with a press of a button. Slim and lightweight. Convenient to carry with your iPad Pro anywhere. 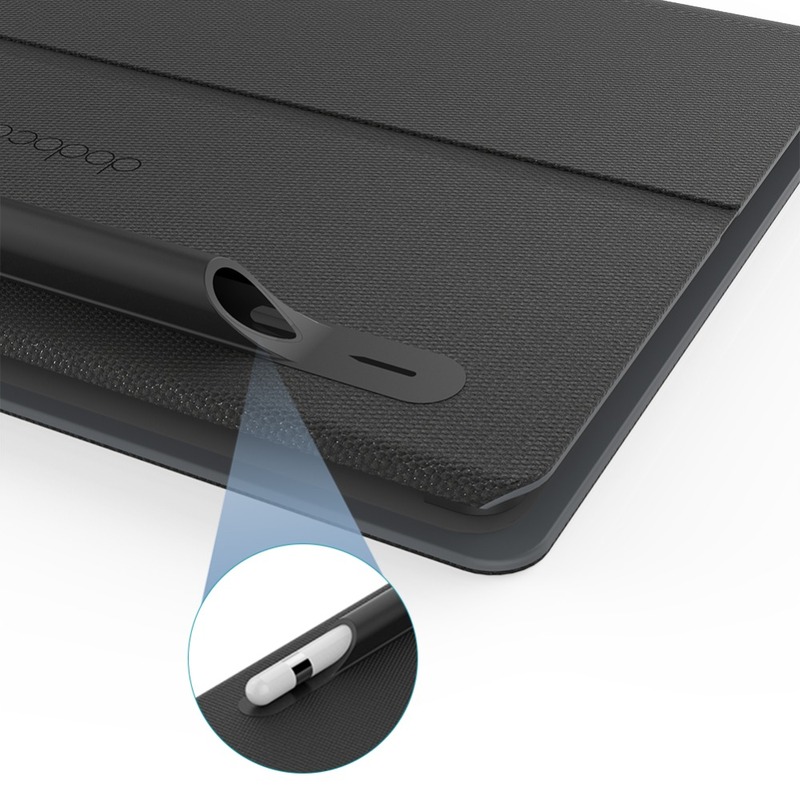 Built with a durable holder on the surface for storing your Apple Pencil. 1. The 10.5-inch iPad Pro and Apple Pencil are not included.